Jobs where workers are exposed to fumes, dust, chemicals, and pollutants can cause industrial diseases, which include both chronic and terminal illnesses that are caused by toxins in the workplace. Usually, exposure to chemicals, carcinogens, and other harmful agents must be long-term to cause an industrial disease. However, in certain cases, touching or inhaling toxins in large quantities can result in an acute industrial disease. The workers’ compensation attorneys at Pulgini & Norton can help Boston residents pursue benefits when they have developed an illness due to a job. According to the Bureau of Labor Statistics, 1.5 million incidents of industrial disease reported in 2011 were so serious that they required workers to be away from work. In Massachusetts, employers and their workers' compensation insurers must provide compensation for industrial diseases that cause a worker to have to see a physician or miss work. Sometimes these diseases are fatal, and in these cases, death benefits may be available for the spouse and children of a deceased employee. Some industrial diseases that have been determined to be compensable in the past are asbestosis and dermatitis. However, many insurers deny these claims, and you may have to go through the dispute processes of the Department of Industrial Accidents (DIA) in order to recover benefits. 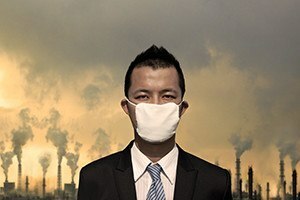 To recover for an industrial disease, the disease must have developed because of exposure in the workplace, and medical research must show a strong correlation or causation relationship between the exposure and the disease. Among the benefits potentially available in an industrial disease case are medical costs, lost wages, physical therapy, partial or total disability costs, prescription medicine, and a cost of living raise. The benefits available depend on the extent to which an industrial disease is disabling. In some cases, an employee suffering from an industrial disease may be able to receive a lump sum payment as well as weekly wage benefits. An acute industrial disease may be temporary. If you tell your employer you cannot work for five or more days, your employer must file an Employer's First Report of Injury or Fatality, which is Form 101. A copy should be filed with the DIA and the insurer, and given to you as well, within seven calendar days from the fifth day of an employee's disability. In Massachusetts, there is a time limit for filing industrial disease or other workers' compensation claims. In general, an employee needs to file a claim within four years of the injury date. In industrial disease cases, this four-year period begins to run when you first realize there is a causal relationship between your disease and your job. For example, if you are aware that you are working with asbestos and that asbestos can cause asbestosis, and then you are diagnosed with asbestosis, the time begins to run from your diagnosis date. However, if you are working in a factory with lots of different materials and then develop pneumoconiosis, and you only learn after diagnosis that one of the agents you worked with causes pneumoconiosis, the time to bring a claim likely starts to run when you realize that you may have acquired this condition from your work. If you develop an industrial disease that you believe is due to your Boston workplace, you can retain a work injury lawyer at Pulgini & Norton. We also represent people in Andover, Somerville, Braintree, and other Massachusetts cities. Call us at 781-843-2200 or contact us via our online form for a consultation.